The Sons of Liberty were tired of paying taxes so the Sons of Liberty dressed up as moahocks and dumped tea into the Boston harbor. 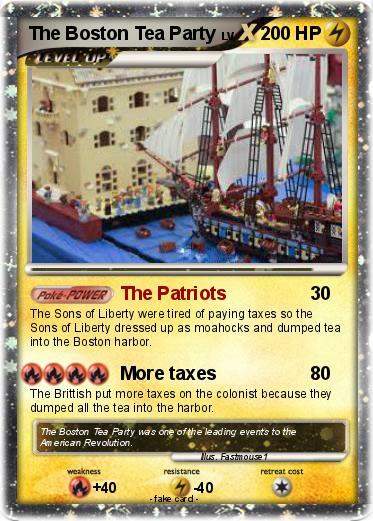 The Brittish put more taxes on the colonist because they dumped all the tea into the harbor. Comments : The Boston Tea Party was one of the leading events to the American Revolution.